To help us answer your query as soon as possible, please take a moment to find the team who is best placed to help you. Remember to include your Client Reference number in relation to any membership/ ticketing enquiry. For information about how to buy tickets, please see "Ticketing: Can I buy a ticket?" Please note, this team can only manage queries directly related to Season Ticket and or Membership Renewals, for ticketing information for home and away games please see below. For call costs, see below. 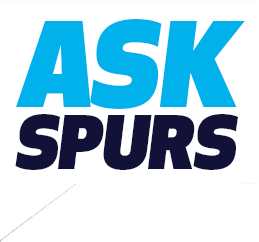 If you've not been able to find the answer you need on Ask Spurs, please contact 0344 844 0102 for all ticketing enquiries (from overseas dial +44 20 7998 1068). Alternatively, send us a message and the team will endeavour to respond within 48 hours Monday-Friday. *If the match is to be played in the early afternoon, with kick-off at 12:00 or 12:45, the Ticket Office will open at 09:00. Calls to the 0344 number average at less than 5 pence per minute from BT landlines but of course, tariffs may change dependent on your chosen provider or if using mobile services. Most mobile operators and service providers include calls to 0344 numbers within their inclusive minutes (again, dependent on your chosen tariff with your operator). Any other number that has historically been used (0844) will still be active and connect you to the Ticket Office, however this number is not published or publicised by the Club and may incur higher charges. We work with several charities, please see here for Charity guidelines. For more information about requests for signed memorabilia, sponsoring a charity event, visiting the training centre, meeting players and other similar requests, please see our FAQs. Spurs Wishes exists as a separate initiative within the Tottenham Hotspur Foundation, enables the Club to make more Spurs dreams a reality for fans of all ages suffering from terminal illness within the UK. See Spurs Wishes for more information. If you'd like to speak to our media team or would like to discuss being included in the program see Media & Accreditation. The Club is proud to work with a portfolio of Official Partners. Should you be interested in becoming one of the Club’s Official Partners, please register your interest. The Club receives a high volume of enquires each season. Should your enquiry be of interest, the Club shall get in touch directly. Please note, any requests for the Club to become a sponsor or to support a particular cause or programme please see our Charity guidelines and Charity request FAQs. View our Premium options and register your interest. If you're an existing premium member, please contact the Premium Account team. To find out more information about our Accessibility Scheme and contact details please see Disability Access Scheme. For more information about safeguarding please see here. For lost property enquiries please call the Stadium Security Team on 0203 964 4054. Please note: If you lost an item on one of the Shuttle Bus Services​ or one of the regional coach services, it may take up to 48 hours for items to be returned to the security services team at the Stadium. We aim to provide excellent service across all areas of the Club – however from time to time, things might not go as planned. We take all complaints very seriously and will endeavour to resolve them quickly in every case. Our Customer Service agents are in the best position to resolve your issues quickly and they should be the first person you contact. Our agents aim to respond to all queries within 2 working days, please contact them here. If you have already contacted our Customer Service team and still feel that your issue has not been solved to your satisfaction then please contact us by making a complaint. You can do this by sending an email to supporterservices@tottenhamhotspur.com. Our Supporter Services team will look into your complaint and if necessary, we will get in touch with you for further information. The points you raise will be investigated fully and the details of your complaint will be carefully reviewed. We aim to respond within 5 working days, which gives us time to investigate fully. If appropriate, we will also tell you what steps we will take to address the situation - and what steps we will take to ensure it does not happen again. The Independent Football Ombudsman: Once you have been through the Club’s Complaints process, if you are unhappy with the outcome and have reached “deadlock” or it has been more than six weeks since you submitted your complaint and you feel it hasn’t been properly responded you have the option to go to the Independent Football Ombudsman. Please see their website for more information.